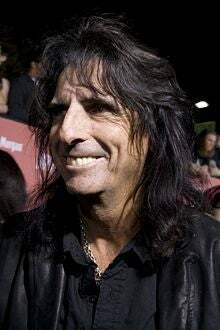 Yes, he may be a golf-obsessed, card-carrying Republican, but Alice Cooper is still an officially-sanctioned Rock Legend and thus the perfect choice to tear the roof off Hollywood's Viper Room with his undoubted Rock Band 2 skills, this Monday. As if that was not reason enough to email rockbandshow@yahoo.com to apply for a ticket, Cooper will be joined in plastic-guitared battle (or microphone - that would make more sense and Alice would definitely win) by the only-slightly-less-legendary-rock-legend Sebastian Bach! No, not that one - he died 250 years ago - the one from Skid Row! Dude! 18 & Life! Doors open at 7:00, Monday 15th September. Admission is free but you need to be 21 or over, you crazy kids.